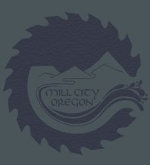 The City of Mill City is happy to present our newsletter, The Mill City Messenger. For the latest information on what's happening in City business, planning, Hints and Helpers, click on the correct edition date below. The monthly newsletter will be mailed out with the water bills. Questions or suggestions for next month's newsletter? Please feel free to call City Hall at 503-897-2302. We'd love to hear from you!